A friend meets up with her friend as she is picking her car up from the mechanic. Her friend asks, "Everything ok with your car now?" The blonde replies, "Yes, thank goodness. 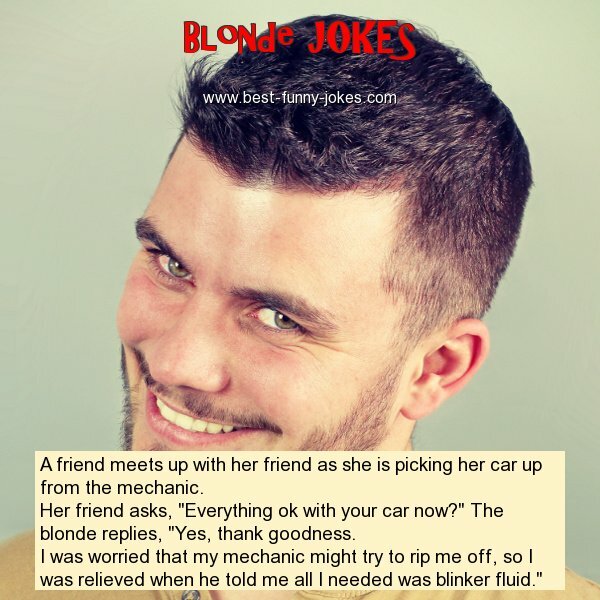 I was worried that my mechanic might try to rip me off, so I was relieved when he told me all I needed was blinker fluid."